Cross the Galapagos Islands off your bucket list in style onboard the Sea Star Journey Cruise with some great earlybird savings. For a limited time, you can lock in the 2015 price for your Galapagos 2016 journey onboard the Sea Star for a discounted price of up to US$1,000 per person. Stay in comfortable luxury onboard an intimate 16 passenger yacht built for stylish Galapagos Cruising. Each day your naturalist guides will take you on hiking, kayaking and snorkelling activities so you can discover the unrivalled wildlife and scenery of this magical archipelago. Or choose to indulge in the social areas such as the jacuzzi (there are two of them,) lounge in shaded and unshaded areas, sit at the saloon, or relax at the bar for a great all round experience soft adventure of the Galapagos Islands. You have a choice of either a 5 day or 6 Day cruise so you can have a relaxed and rewarding escape depending on how much time you have to explore these maginificent islands within South America. Make no mistake, you will be comfortable on board the Sea Star Journey cruise as it is one of the most luxurious ships around, with orthopaedic beds, air conditioned cabins and you also can enjoy the view through large panoramic windows included in all suites so you can feel relaxed and refreshed as you explore the islands. You will also explore this unique prized place for visitors in an interactive and experential way, where you will be able to be within metres of welcoming and rare animal species. You may come across Galapagos Tortoises, Blue Footed Boobies, Sea Lions, Albatrosses and Marine Iguanas just to name a few. The Galapagos Islands is a truly unforgettable location within South America, it is not somewhere that just every tourist has the privilege of exploring as it can require more time and a greater travel investment than most can afford. But you can take advantage of some generous savings of up to US$1000 per person by placing your booking and deposit by September 30. US$4,920 pp. US$4,075 pp. US$845 pp. US$5790 Us$4790 pp. US$1,000 pp. This exceptional Galapagos program includes your accommodation in a Suite, return flights to and from Quito/Guayaquil, explorations to the islands and daily activities such as hiking, kayaking, snorkelling led by professional and qualified Galapagos National Park guides who will explain the ins and outs of the wildlife and significance of the places you visit. *Offer is valid for a limited time and space confirmed depending on availability, All bookings must be confirmed and deposited by 30 SEP 2015 to claim discount. 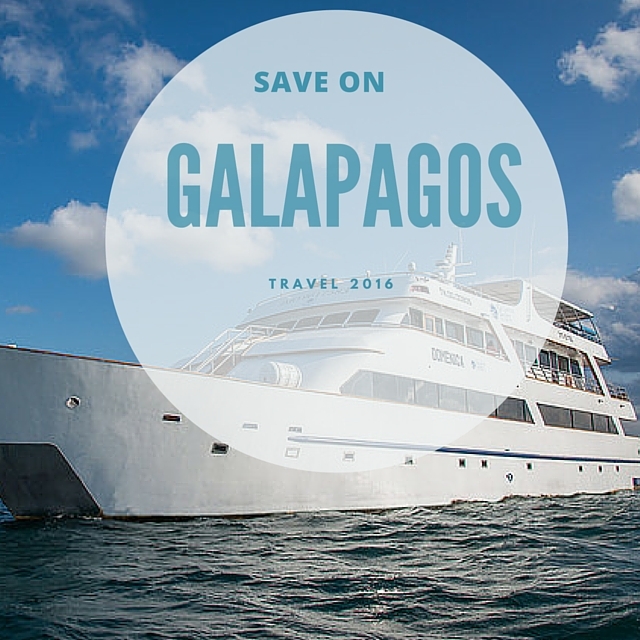 Galapagos Cruises book out months in advance during busy travel times so grab your coupon today so you don’t miss out on this incredible holiday opportunity. There is no better time to experience the Galapagos Islands, and this offer is only valid until the end of September 30 and highly subject to availability. Complete this form to claim your Galapagos Earlybird Saving! Galapagos Early Bird promotion run with Boutique South America in conjunction with operator of Sea Star Journey Cruise. Promotion ends on September 30 2015. Savings are based per person for the cruise based on whether you choose a 5 or 6 day cruise. To take advantage of offer, selected cruise date needs to be confirmed and paid by SEP 30 2015. Coupon must be applied when paying for your cruise on the Boutique South America website.